Niall Horan and Louis Tomlinson have told One Direction fans not to worry and say they’re not splitting up. The pair took to Twitter to reassure “directioners” that they’ll be back as a group after a year’s break. A report in Monday’s Sun newspaper suggested that One Direction would go their separate ways in March after the release of their fifth studio album. Tickets for the final gig of their tour have been selling for double their face value. The band end their On the Road Again tour in Sheffield on 31 October and will concentrate on solo projects in 2016. All three Sheffield gigs on 29, 30 and 31 October at the 13,500-capacity Motorpoint Arena have sold out. But with the final Saturday performance looking like it’ll be fans’ last chance to see the singers in a major concert until at least 2017, auction and secondary ticketing sites say they’re seeing tickets for the final gig priced at twice the face value. They originally ranged from £43.45 to £71.50. There’s been no word from Harry Styles yet. The group’s break was reportedly planned “with or without” Zayn Malik, who left One Direction in March. The band’s PR team wouldn’t comment when asked about the news on Sunday night. There is said to be “a lot of interest” in Harry Styles from Hollywood while Louis Tomlinson is “in contention to be a judge on X Factor” next year, according to the Sun. Liam Payne will continue songwriting, producing and DJ’ing. 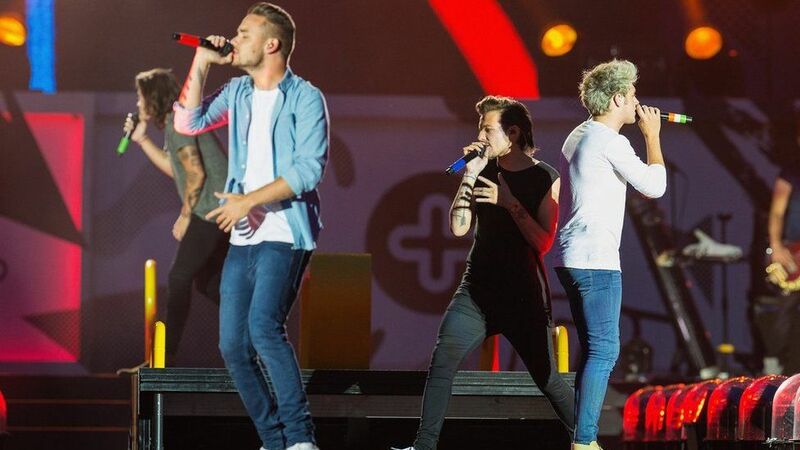 One Direction released their fourth studio album, Four, in 2014 with each record making it to number one in America. The group have also had four number one singles in the UK and they were fourth on Forbes’ list of this year’s 100 highest-paid celebrities making an estimated £82m ($130m). One Direction were the big winners at last week’s Teen Choice Awards, topping eight categories, but weren’t at the ceremony.